From our wide range of Biker style Leather jackets for men! TWO ONLY - ONE SIZE 40" CHEST BURGUNDY, ONE SIZE 42" CHEST BLACK! 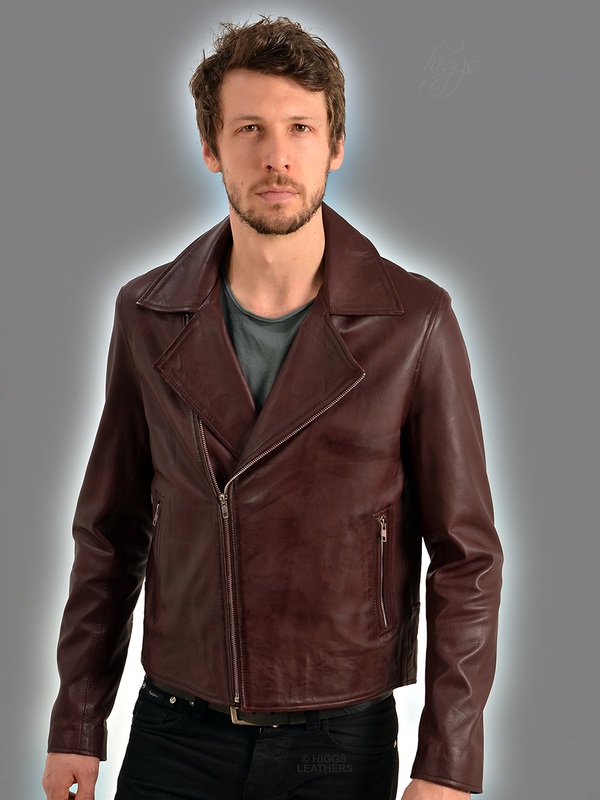 Men's fine quality Burgundy shade Leather Biker jackets, made from soft, supple Lamb Nappa skins. Fitted body with tailored sleeves that taper to the metal zipped detailed wrists. Military style rever collar. Full size outer pockets with metal zips. Body fastens diagonally with a strong metal zip. Two full wallet size inner pockets edged with Leather (one with a zip). Toning Poly/Satin lining. Jacket length approx. 26" (67 cm).